Have you ever wanted to try a new style of food, but you stop yourself because you don’t know if it is gluten-free? The truth is, many Americans who have diet restrictions get stuck into certain food habits in ways that keep their culinary palate clear of exciting, cosmopolitan cuisines. A study by the National Restaurant Association found that 80% of Americans choose an ethnic meal only once per month, showcasing the need for a major expansion of our palates. 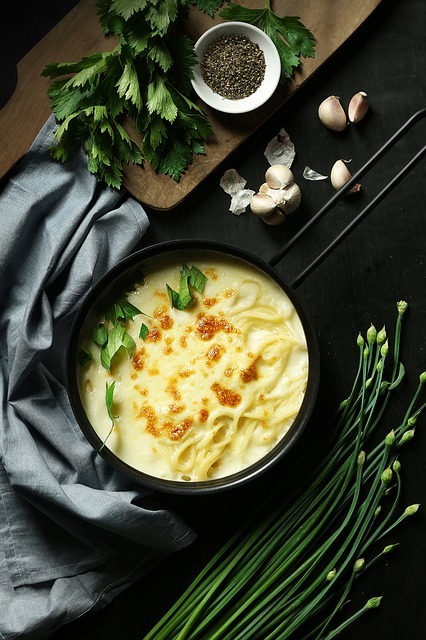 If you are looking for more gluten-free options in global cuisines, the good news is that the culinary world is quickly adapting to the needs of a gluten-free diet. Being gluten-free means you can still try out many different recipes within a range of cuisines, such as Thai, Indian, or Greek. Nowadays, most cuisines make it easy for you to expand your palate while still being gluten-free, which is great for your health and for foodie culture. Going gluten-free means cutting out many foods that are staples in certain global cuisines, such as plain rice (in the case of Japanese and Chinese foods), dishes made with flour (in the case of Italian and Spanish foods like pasta or tortillas), and corn in all forms. However, you can maneuver within the menus of plenty of global cuisines to find items that are free from these ingredients while still gaining a perspective on the culture. Expanding your palate in this way is actually very healthy for you, as your body will appreciate an influx of new ingredients and tastes. In fact, including different foods in your regular diet will promote better health in its deliverance of a wide variety of nutrients and minerals to your body. For instance, you may not eat much fish, nuts, or olive oil on a regular basis, but eating more Mediterranean dishes will give you the chance to do so, which helps with weight loss and boosting the cardiovascular system. Knowing that there are benefits for your health in expanding your gluten-free choices, you are now ready to put your taste buds to the test. Buying a cookbook that specializes in gluten-free dishes from other cuisine styles than American food is a good place to start. This way, you’ll know exactly which ingredients you are using—many of which you probably already have in your kitchen! Besides cooking at home, another way to expand your palate is to travel to new countries and experience their cuisines first-hand. If you are planning a trip, there are many cities that are gluten-free friendly around the world that will have many options for your dietary needs. You can even ask certain hotels or BnB residences if they will be willing to cater to your needs. By expanding your gluten-free palate to incorporate new cuisines, you will be pleased with the many exciting options that you’re sure to find for the benefit of your overall health and tastes.